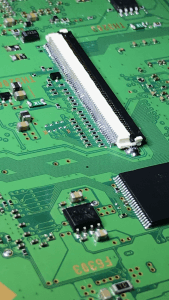 At Logistics we specialize in board level micro soldering repair of electronics. We use state of the art equipment along with high end materials to ensure the quality and longevity of each repair we do. From power issues to stability issues to data recovery we are equipped to repair and replace the components on many consumer and industrial electronics. While our most common micro soldering repairs are for phone, tablet and computers we also specialize in the micro soldering of other electronics such as appliance system boards, automobile electronic components, video game consoles and industrial machinery. Is your Android or Apple phone not charging? Did your phone go swimming in water and no longer turns on? Is your phone not recognizing the touchscreen or sim card? 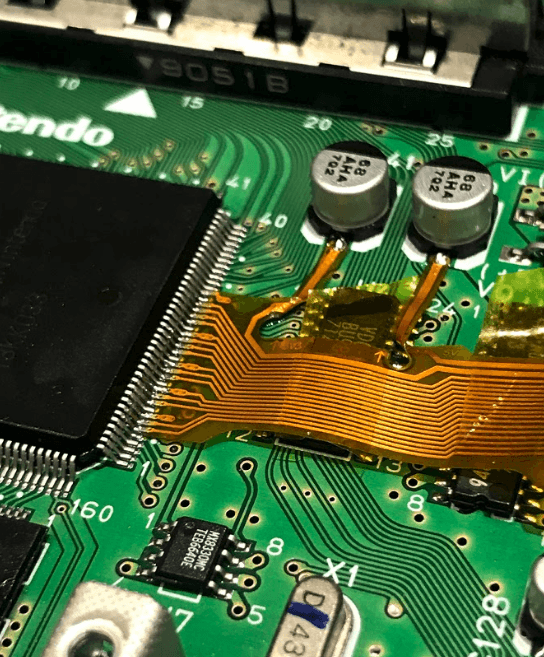 Many of these issues can be resolved with board level micro soldering repairs. Having issues with your phone or tablet can be very frustrating and many people do not realize how much they use and need their phone until a problem arises. If you have ever had to replace your phone or tablet that was not covered under some type of warranty or had insurance you know that the cost of a new phone is not cheap. We can perform board level replacements of FPC connectors, chips, capacitors, resistors and filters on your phone or tablet. Phone or tablet not charging- we can solder a new charging port or docking station component on the board. Some charging issues are also due to a faulty battery port on board, we can micro solder these connections. Camera, Wifi, Sim Card not recognized or unstable? If these pieces are soldered to the board or their connections are faulty we can replace parts and re solder any lines. If your phone is displaying a “no service” message and you know your sim card is good, it is most likely the sim card slot. We can remove the faulty reader and solder a new one in place. LCD, digitizer and backlight issues. Are you having touchscreen issues? We can replace the touch IC on iphone 6 and 6 plus. Phone not turning on due to liquid damage- while liquid damage repair can be a bit more involved, in most cases we can perform board level repairs to salvage most if not all of the components without having to replace parts or the phone in general. Does your computer show that it receiving power but won’t turn on? Did your mac book drink a bottle of wine and it no longer wants to turn on? Is your machine turning on but there is no display? Many times these power issues are board level issues and can resolved. With our state of the art equipment we can solder new pads, capacitors, resistors, chips, filters and FPC connectors on your PC motherboard or Mac logic board. Machine is turning on but there is no display. If this is due to the LCD connector on the board we can remove the bad one and solder a new one in its place. Power Issues – when plugged in laptop lcd power light shows the machine is getting power but it won’t power on. This can be caused by a faulty power button connection. We can re-solder connections and buttons. PC or Mac not turning on due to liquid damage- while liquid damage repair can be a bit more involved, in most cases we can perform board level repairs to salvage most if not all of the components without having to replace parts. We can re solder broken connection points, pads, resistors, chips etc. No Power – Is your DC/power jack broken causing your machine not to boot? We can remove and re solder a new charging port into your laptop. 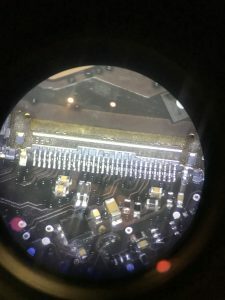 While our most common micro soldering job requests are for computers, phones and tablets we are adept to solder electronics for a wide range of devices. 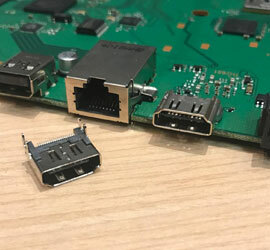 Because these devices can range in size and complexity in most cases we will require that boards be removed from device before bringing them in for repair. In addition, on more specialized job requests we will expect you to have some knowledge of your equipment to tell us what work you would like done. Is your external drive no longer being recognized by your pc and you need those selfie pictures you took with your dog ten years ago to use in your new plenty of fish profile? Is your final due and you just found the USB Thumb drive it was saved on snapped in half? 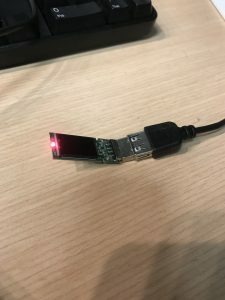 We can re solder broken pin connections on even those tiny USB thumb drives and recover your data.